Mrs Gale and the Year 6 Sewing Club have been very busy indeed! 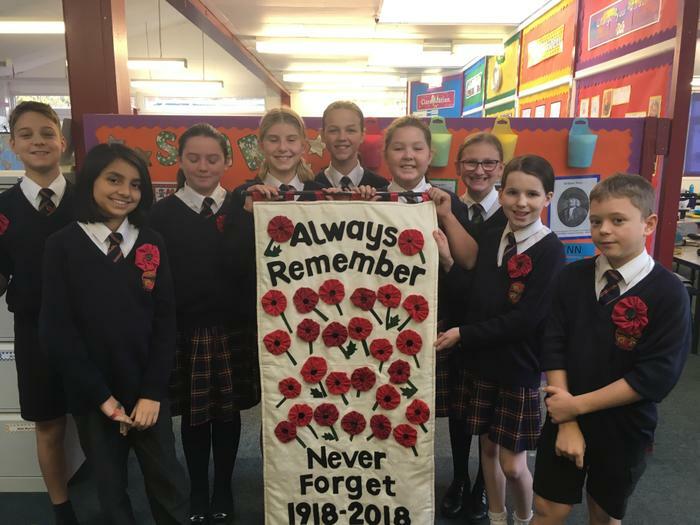 They have created this wonderful Remembrance banner to help us all remember the importance of the Poppy Appeal especially in this centenary year! Well done boys and girls - the banner is beautiful! We will remember them!